Moving. It’s one of the most stressful yet most exciting things you can ever do. 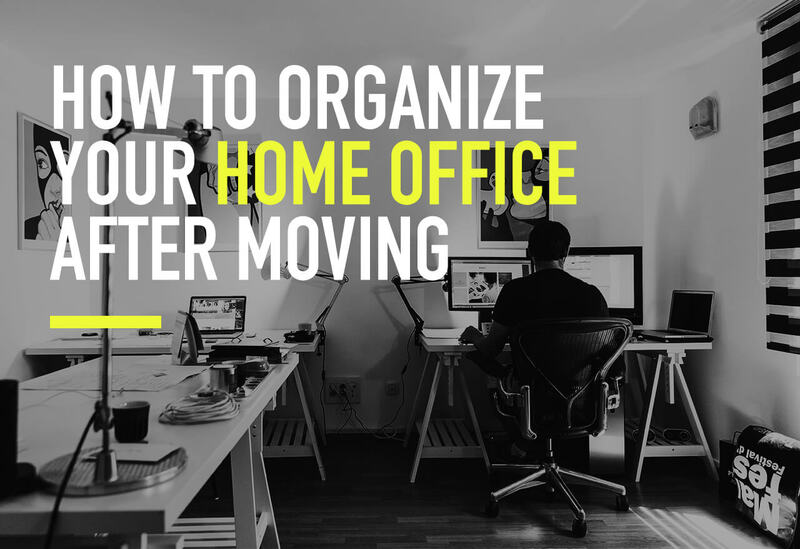 Whether you are moving across town or all the way across the country, you need to go through many of the same steps when you are unpacking and organizing your home office after a relocation. Here are some tips for doing that. Figure out where you will set up your home office. This is one of the biggest keys to keeping it organized. You want it to be in a location that is accessible yet far enough away from the busy center of your home. Next, you need to determine how you will configure your desk, chair, tables and any other furniture in your office. Remember to keep ergonomics in mind as you set up your office, so you avoid the risk of injury and keep yourself safe and healthy. When you move, you need to set up your internet, phone service, electricity and any other utilities and technology needed to run your office properly. Next, you need to set up all your equipment and make sure it is running properly. Test it all out until it is working the way you want and need. This is especially important if you run a business or telecommute from home. Maximize the use of your desk by only placing items you frequently need on its surface. If you do not need to use your pencil sharpener or paper clips daily, there is no need for them to be collecting dust on your desk. Keep them in a drawer or cabinet instead. When you move, you have no paper clutter sitting around on your desk, tables, bookcases or floors. So, it’s a great time to start fresh with a clean slate. Put away all papers, and don’t let them accumulate. Set up your paper shredder in a spot that is easily accessible from your desk. It is essential that you have all your technology and equipment set up, but that is not quite enough. You want to have some personal and decorative touches to liven things up and make your home office truly homey and comfortable. Think about adding a colorful throw rug and stylish curtains. Place some tasteful framed art or accessories on the walls. And put a couple of personal items on your desk, like a framed photo of a loved one. 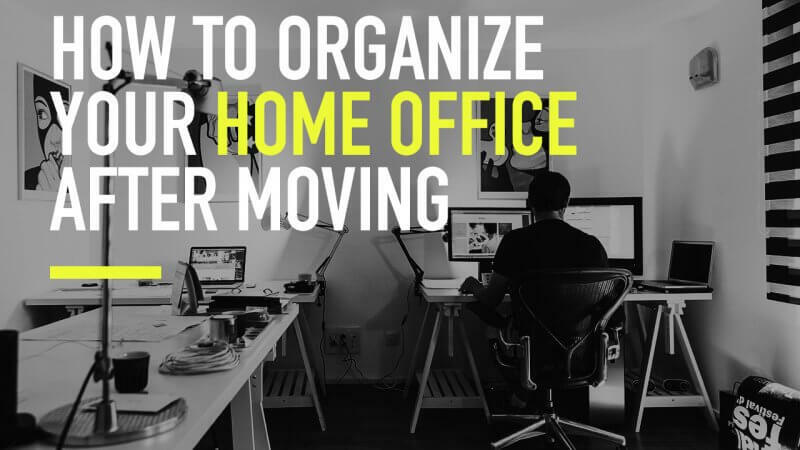 By properly organizing your home office from the moment you get moved into your new home, you will set yourself up for comfort, organization, maximum efficiency, and success. To find affordable movers to help you with the moving or unpacking, contact Cheap Movers Phoenix. Otherwise, happy working in your new home office!